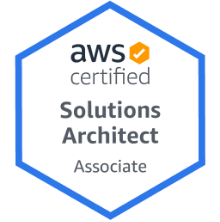 Amazon Web Services' (AWS) Lambda provides a serverless architecture framework for your web applications. You deploy your application to Lambda, attach an API Gateway and then call your new service from anywhere on the web. Amazon takes care of all the tedious, boring and necessary housekeeping. 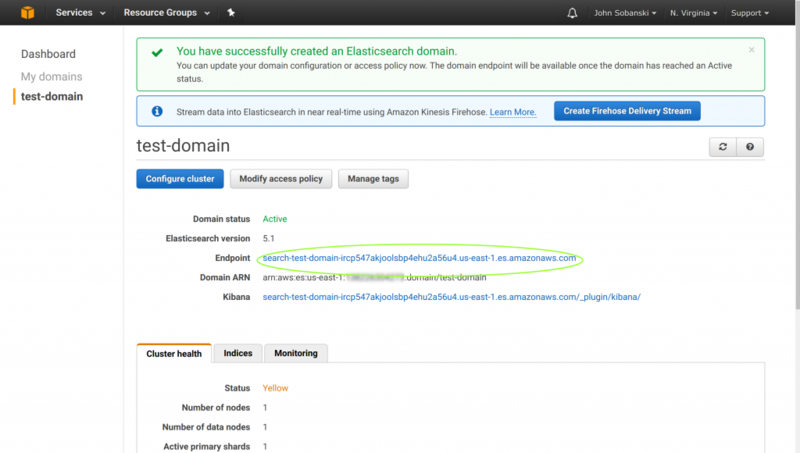 In this HOWTO I show you how to create a proxy in front of the AWS Elasticsearch service using a Lambda function and an API Gateway. 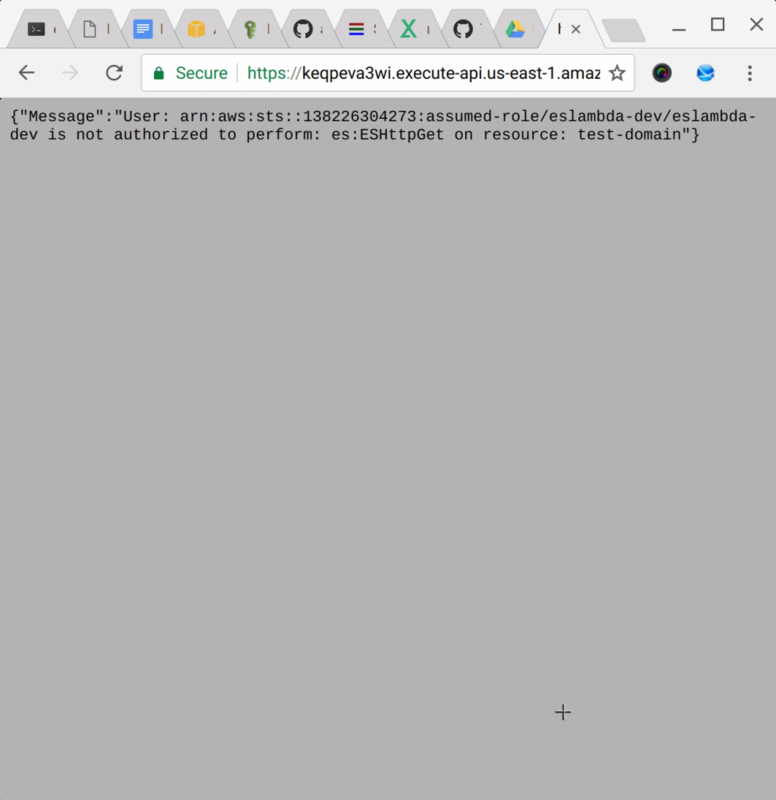 We use Identity and Access Management (IAM) policies to sign and encrypt the communication between your Lambda function and the Elasticsearch service. This HOWTO serves as a simple starting point. 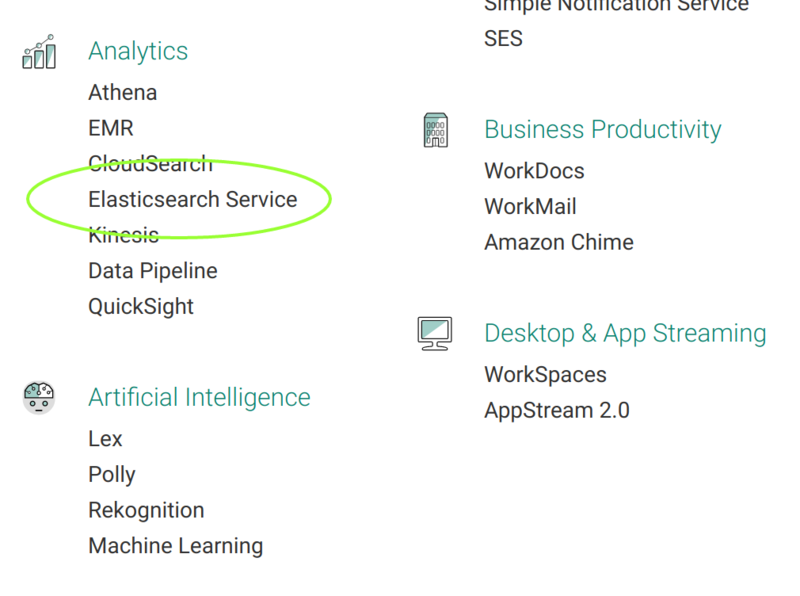 Once you successfully jump through the hoops to connect Lambda to Elasticsearch, you can easily grow your application to accommodate new features and services. 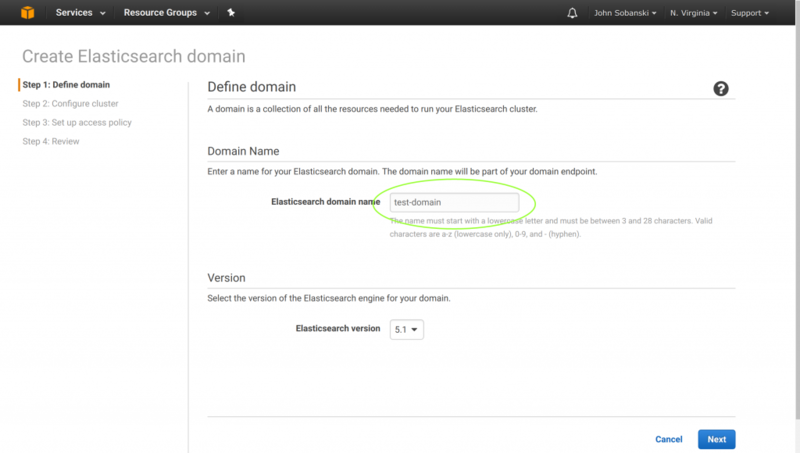 In the second HOWTO, for example, I demonstrate how to validate and publish documents to Elasticsearch. If you see the "Get Started" screen, click "Get Started." Name your domain “test-domain” (Or whatever). 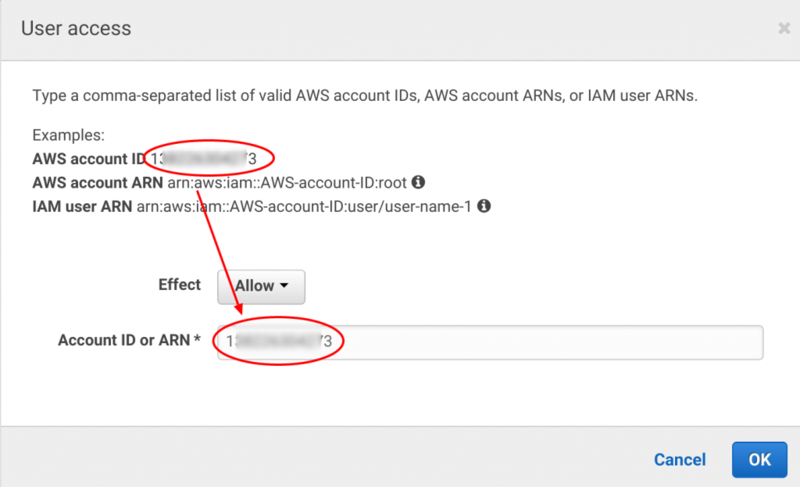 Keep the defaults on the next screen “Step 2: Configure Cluster.” Just click “next.” On the next screen, select: “Allow or deny access to one or more AWS accounts or IAM users”. Click “Next” and then “confirm and create. Expect about ten (10) minutes for the service to initiate. While you wait for the service to deploy, you should set up your Chalice development environment. As a convenience, I summarize the instructions from the authoritative Chalice HOWTO here. Change directories to your new sandbox and then activate the virtual environment. You are using pip version 6.0.8, however version 9.0.1 is available. Before you can deploy an application, be sure you have credentials configured. If you have previously configured your machine to run boto3 (the AWS SDK for Python) or the AWS CLI then you can skip this section. If you want more information on all the supported methods for configuring credentials, see the boto3 docs. From the chalice-demo directory, create a new Chalice project. You have set up your development environment. 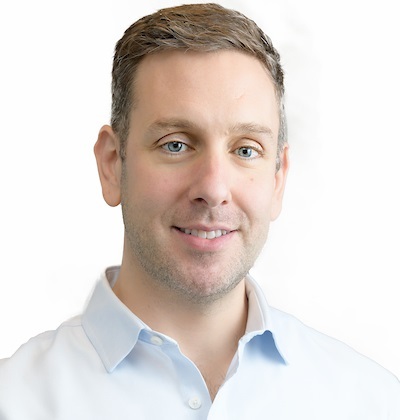 At this point, your Elasticsearch endpoint should be up and running. Copy the fully qualified domain name (FQDN) for your new endpoint. You will copy this FQDN into the application below. 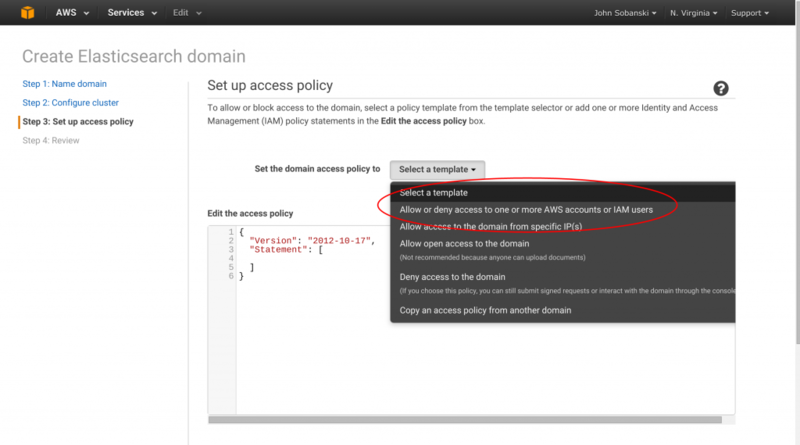 The following application uses the boto library to access an authorized IAM role to sign and encrypt calls to your Elasticsearch endpoint. Be sure to configure the host parameter with your Endpoint address. Overwrite app.py with the app.py code above. Then, pip install boto. Use the pip freeze | grep botocommand to populate requirements.txt with the proper version of boto. requirements.txt tells Lambda which Python packages to install. Create a document called policy.json in the hidden .chalice directory and add the following JSON. This will let Lambda use the Elasticsearch service. Cross your fingers, this should work. Deploy your Chalice application with the following command. Take note of the endpoint that Chalice returns. Initial creation of lambda function. Yes. For some reason the steps on the Chalice quick start does not seem to work. If you take a look at policy.json you'll see that Chalice over-wrote it. Chalice created a policy to allow our Lambda function to log. Let's keep that action and add the Elasticsearch verbs. Edit .chalice/policy.json once more, this time using the enriched JSON encoded policy. Redeploy again, this time turn off the auto policy generation. API Gateway rest API already found. It may take a few minutes for the new Lambda function to bake in. Be sure to hit Control+F5 to make sure you're not hitting a cached version of your new application. Alternatively, you can pip install httpie. From the command line, use httpie to access your new proxy. Congratulations! Your Lambda function can hit your Elasticsearch service! I encourage you to proceed to the second HOWTO of this series, which demonstrates how to use this approach to recieve, validate and persist Elasticsearch documents to the document store. 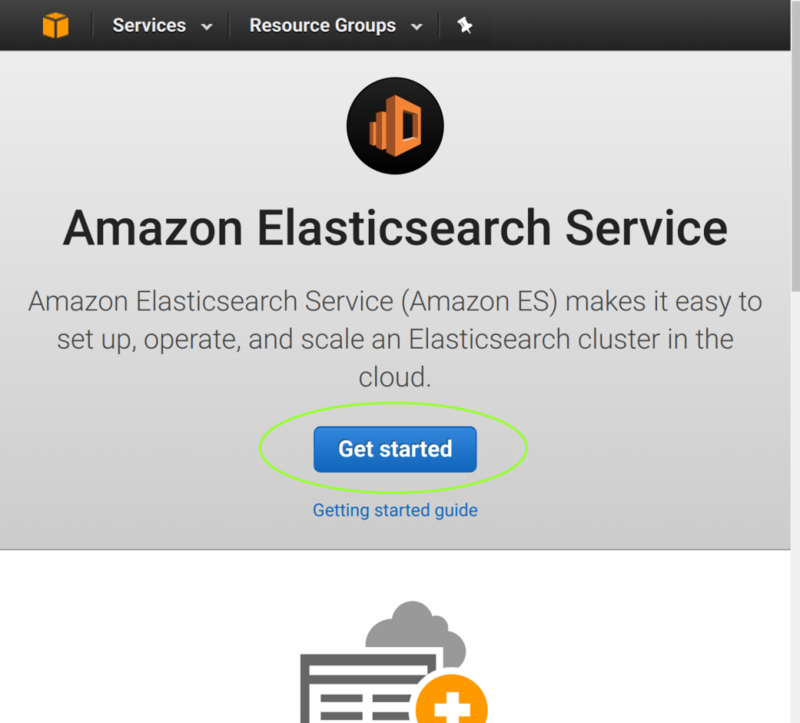 In addition, you may want to learn how to backup the AWS provided Elasticsearch service to S3 or add @Timestamp to your Python Elasticsearch DSL Model.